I have long been advocating for a reboot of Extended. However, I have no financial interests in that “format” outside of the miscellaneous cards acquired as a consistent Standard player of the last several years. I do not want Frontier to fail as some sort of emotional vendetta. I believe that Magic is good when there are lots of popular formats, and tournament-level constructed Magic TRULY needs more options to cast the wide net that Organized Play wants. Similarly, I do not intend to target Frontier as either a boon or detriment to Modern. I’ve been pretty vocal in my complaints with that format, and (spoilers!) they are present in my assessment of Frontier’s flaws. I flew on Frontier Airlines once, and it was a pretty subpar experience, and if we are being totally honest, like 8% of my dislike of Frontier comes with mentally auto-associating it with crappy flights. CARD ACCESSIBILITY: In this sense Frontier is advertised as a cheaper alternative to Modern, rather than a new experience. Some Modern cards, like Blood Moon and Dark Confidant, have not been made easily available since they were last in Standard. Things like Tarmogoyf serve as permanent representations that if you haven’t been playing Magic for a very long time, you will have a harder time participating now. This is something that I definitely sympathize with, and I don’t think that making the jump from Standard directly into Modern is feasible anymore (if it ever truly was). The problem, of course, is that Frontier only solved the symptom, not the cause. If Frontier is still around in ten years, then cards from M15 and Tarkir will still be old cards. They are accessible now the same way Cryptic Command was accessible when Lorwyn was the newest set out. It is mistaking recency for availability, and that’s a long-term issue. One of the problems with Modern is that it has baked-in issues created by turbulence in Magic’s past. 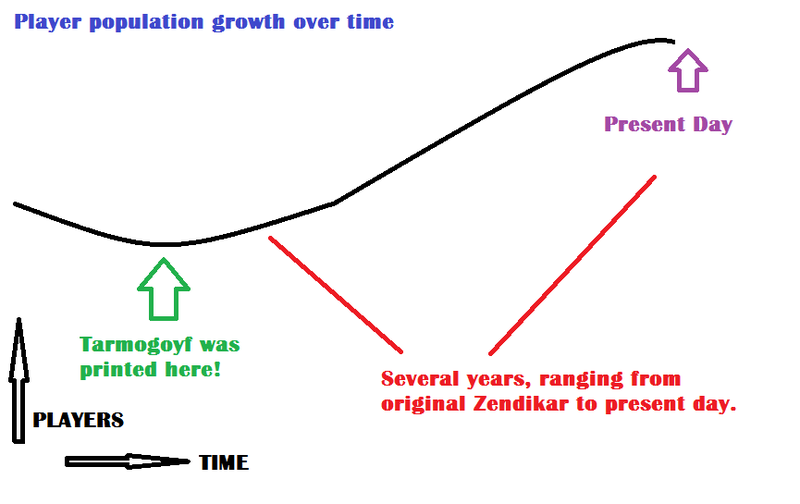 Tarmogoyf’s price is reflective of the fact that it was printed at a time where Magic’s active player population was possibly a third (or less!) of what it is today. Modern is a set of rules for play but not a means of itself providing for that play. If Magic’s boom times are coming to an end, or we see a large enough shrink in players that print runs decrease, then those fluctuations will be forever encased in amber in Frontier’s availability. The graph below represents Modern’s accessibility problem because that inequality is unchangeable (reprints that aren’t in Standard legal products have yet to meet the required numbers to address this issue, by virtue of their scale). THAT LITTLE FOIL OVAL: It’s not a major selling point, but it’s nice to know that there is an extra security measure against counterfeit cards. I don’t actually have an argument against this, so I’ll give them points for this. See? Fair and balanced. DESIGN PHILOSOPHY: Modern’s tentpole exists on the basis that the card frames changed, not a clear and consistent development philosophy. Modern simultaneously operates in a reality where Blood Moon, a rare originally printed in THE DARK (!!!! ), exists alongside several sets where Stone Rain was deemed “too good to exist anymore”. Magic design and development is not static, and so effects and functions evolve over the course of time. This is why some effects, like “Destroy all creatures” (originally found on Wrath of God), have crept up in cost and mutated in functionality. These fluctuations serve as a complex system of balance beams in Standard, while at the same time narrowing in on theoretical ideals of cards/effects (Day of Judgment probably costs a theoretical 4.5 mana). 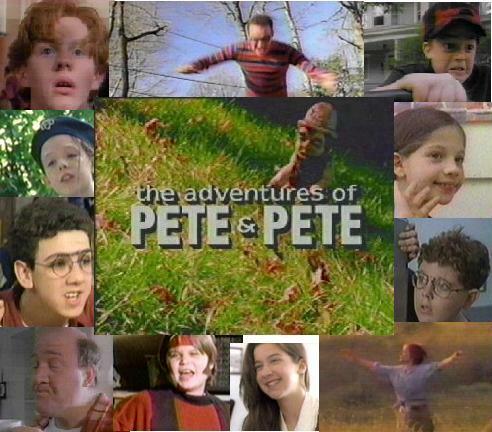 Of course, when you compare these new cards to Blood Moon, a card so old that “The Adventures of Pete and Pete” WAS STILL MAKING NEW EPISODES, they fail to come close to making an impact. The assumption Frontier makes is that Magic is in a much healthier place now than it was when 8th Edition came out, and in that respect they are correct. The crux of that argument is backward-facing however, rather than anticipatory. Frontier, by never rotating, is cementing its own roster of “Best Available”- sure, that new card is good, but is it better than Siege Rhino? Is that new one drop really better than Monastery Swiftspear? If WotC ever decides to get aggressive with certain reprints (think Lightning Bolt in M10), then you have that card in Frontier FOREVER. Frontier’s fatal flaw, as you may have pieced together by now, is a small thermal exhaust port right below the main port with a shaft that leads directly to the reactor system that it does not rotate. That is ultimately a long-term problem. 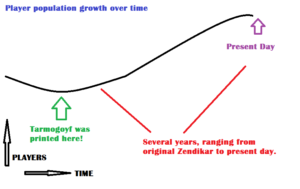 If Frontier goes the way of Tiny Leaders and fails to mature into its role (that’s my bet), then that won’t be an issue ever- but if it succeeds, then it is going to be the crux that makes some hard to reprint cards mini-Tarmogoyfs. I’m going to close with some of the cards that stand to benefit from Frontier’s success- but be aware that buying into this format is definitely risky at this point. Jace, Vryn’s Prodigy: This guy has to be the most obvious starting point. Well actually, my instinct was to start with Thoughtseize, until I realized (for like, the hundredth time) that Theros isn’t in this format. Jace is #1 because he is insanely difficult to reprint- he’s a flip card (expensive on the production side, requires a product with enough flip cards), he’s a specific character (can only appear in a set where Jace makes sense OR is flavor-neutral), and is a narrow iteration of said specific character (can only appear in a setting where Jace gets his spark like Origins OR is flavor neutral). Essentially, “Baby Jace” is going to have to be in a supplemental product that can afford the front end cost of including flip cards, even though almost all of the flip cards are from Innistrad, so there is no flavorful throughline for something like a Duel Deck. The best case scenario is the Modern Masters iteration that goes up to Origins, which is going to be several years away. Even if Frontier died tomorrow, it’s easy to see why this is a steady play at $45. Oh, and the Grixis/4c/5c control decks love this card, so it’s actually pretty good in the format. I’m not going to cite too much in terms of past results, but there are some decklists at mtgdecks.net that I’ve been scoping out. It’s too small a sample size to say what decks are “best”, but it’s still real data. If you have an appetite for more expensive “specs”, this is a good one even if you don’t like Frontier’s outlook. Collected Company: If Jace is #1, then CoCo is #1A. Company gets better any time a creature that costs 3 or less is printed, and is easy enough to splash in any color aggro deck (we have literal fetchlands). These are down at about $10, which may be the lowest since DTK came out- this card is good in Modern and (very) fringe in Legacy, so snapping some up in trades is extremely appealing. This will be a pillar of the format if Frontier blossoms. 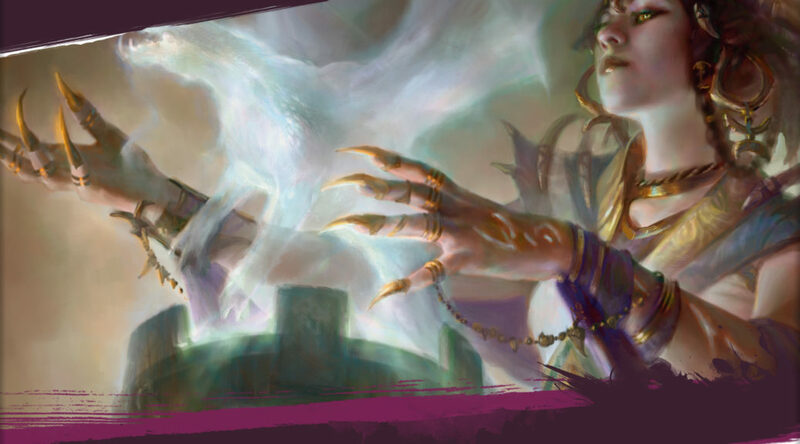 Emrakul, the Promised End/ Ugin, the Spirit Dragon: These two are roughly the tied for best in the “biggest thing” category, so I could see either (or both!) being the premier topper of the format. 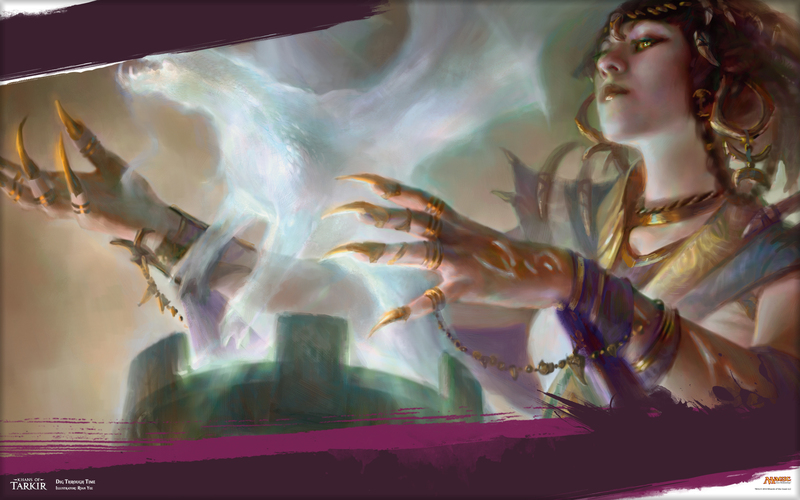 Emrakul is still in Standard for a while, but Ugin is pricy despite being playable in almost nothing else. I say hold off on both of these, but watch them- the success of either one (if any) will help dictate which playable support cards may see secondary spikes. Dig Through Time: LOL there’s no way this format makes it. But this frustrating garbage is apparently legal, so expect at least modest gains if Frontier survives. What would I play if I knew I’d face Dig Through Time every round? Civilization 6. Obelisk of Urd: Elves is a deck, and there is probably some tribe (humans?) that is on enough of the white weenies to make this functional. Goblins is close but probably not close enough. These are the sort of “Level 0” cards that caught my eye, because I’m not sure if we have a stable enough environment to begin metagaming off of it. The issue will for now be supply, because everything (other than maybe M15 and Origins) has pretty big market saturation. Things like Kalitas that are currently good in Standard AND Modern are interesting plays, but probably won’t see too much percentage increase as people who already play Modern won’t have much issue oscillating to Frontier. That’s all for this week, let me know your thoughts on Frontier, my assessment of it, and what cards you like, if any.